Keeping it private or making it public - the CEO’s of Tibco, Informatica and Zscaler answer if and why software companies need capital markets? News: Are you ready for the next 100 years of IoT? Holidays in space, 3D printed homes/food/furniture, underwater cities and mega-skyscrapers will be the norm. In the space of 100 years time, humankind will change its living, working and playing habits beyond recognition with different IoT technologies coming together in the 22nd century. Commissioned by Samsung’s smart home SmartThings business arm, the SmartThings Living Future report predicts that humans will be living, not only overground but also in ‘Earth-scrapers’, underground buildings that will go as deep as 25 floors or more. 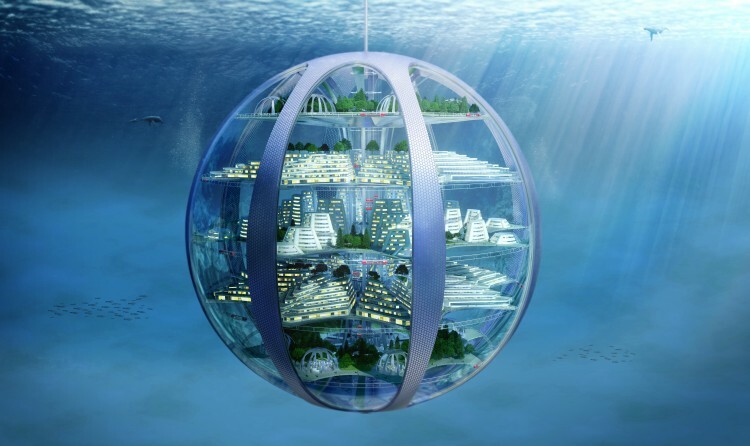 By 2116, the report also predicts that humans will be living in giant underwater ‘bubble’ cities enabling humans to live below the surface level using the water itself to create breathable atmospheres and to generate hydrogen fuel. Taller buildings will be enabled by carbon nanotubes and diamond nano threads which help to create towering megastructures that will dwarf today’s skyscrapers, according to the study. As for transportation, humans are likely to be flying around in their own personal flying drone, "some strong enough to carry entire homes around the world for holidays". The report was put together by alumnus, professors and architects from the University of Westminster including space scientist Dr Maggie Aderin-Pocock, futurist architects Arthur Mamou-Mani and Toby Burgess and urbanists Linda Aitken and Els Leclerq. Dr Aderin-Pocock, said: "Our lives today are almost unrecognisable from those a century ago. The internet has revolutionised the way we communicate, learn and control our lives. "Today we are making the next giant stride, the age of the smart home. But what can we expect in the next 100 years? Over the next century we will witness further seismic shifts in the way we live and interact with our surroundings. "We are likely to see the emergence of towering megastructures as well as sub-aquatic cities and transportation via advanced flying drones – some of which could be strong enough to transport entire houses on holiday." She continued to explain that homes will get a lot smarter, as flexible smart walls will mean that humans will never need to decorate their homes, with LED room surfaces adapting to suit the mood of those in the home. When it comes to entertaining, people will be downloading dishes from famous chefs and will also be enabled to tailor these to their own personal needs. "We will be able to 3D-print a banquet or a favourite cake in minutes," Dr Aderin-Pocock said. Working habits are also set for a major shift. Over the weekend, experts claimed that robots will overtake most jobs in the world in the next 30 years, with humanity facing "its biggest challenge ever" to find a meaning in life as work patterns change dramatically. In the SmartThings report, researchers suggest that a three day working week will be a real possibility as we work smarter and attend meetings remotely via holograms. The report has also looked into the opportunities for healthcare, and suggested that stepping into home medi-pods will confirm if a person is really ill, providing a digital diagnosis and supplying medicine or a remote surgeon if needed. 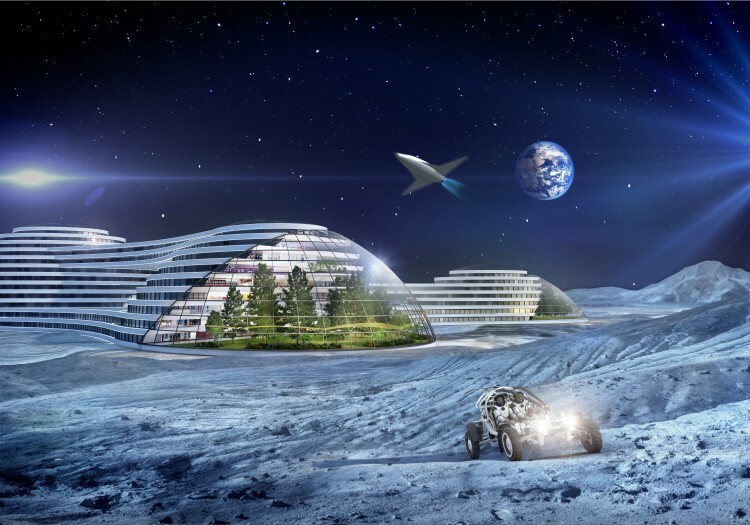 Lastly, the report also looks at the opportunities in space, and suggests that by 2116, humans will have colonised the Moon and will be spending their holidays there, as well as permanent living. The report also says that Mars will follow and "then far beyond into the galaxy". Dr Aderin-Pocock said: "Remember, these are just predictions for the century ahead, but the technical and medical breakthroughs are moving at pace and an ever increasing life expectancy you may not need to take my word on it, you might just be around to see it for yourself." However, the document has failed to convince all in the industry. Speaking to CBR, Saverio Romeo, principal analyst for M2M, IoT wearable technologies and smart solutions at Beecham Research, said that Samsung’s report is a marketing piece. He said: "First, what is the technology that can solve critical problems we have around us? This is a sort of marketing from Samsung. There are a lot of questions that have not been answered. "For example, why this argument that cities are the place that we are going to live? We have to think about new concepts. I would prefer to see a study of human living with multidisciplinary. The concept of city itself will change. The EU, for example, is pushing the concept of smart region." Romeo also said that in terms of IoT technology that can support this, we are going to see a new set of things that support this scenario. "You can write about science fiction, but be a bit sceptical. Everything is achievable though. Samsung has to show innovation technology power. In the field, we all know that Samsung is incredible. "The problem that we know in the community is that Samsung has to deliver these messages to groups of people, such as governments, the wider public and companies, to fascinate people." Romeo also said that the media is reporting too much hype as it gets into the fascination of technology. He said: "The media should look more at the implications of these technologies. This is a bit more complex than the picture portrayed. We need to dream, but then we have to come down to the table and see what is achievable. Be real." SmartThings has also surveyed 2,000 British adults to find the top ten predictions for future living. 48% said virtual reality working meetings are their top prediction for the smart future. This is followed by commercial flights into space (41%), virtual interior decoration (26%), 3D printed houses, food and furniture (25%) and at-home scanning capsules or pods to diagnose health problems (24%). From those surveyed, 19% said that colonising other planets will be a reality as we use up resources on Earth, 18% said AI will be part of everyday life, and 18% said giant skyscrapers will become a reality and cities on their own. 17% see at-home hydroponic farms (that do not require soil) as part of the future living, and 16% envision the construction of the mention Earth-scrapers underground. Next ArticleKeeping it private or making it public - the CEO’s of Tibco, Informatica and Zscaler answer if and why software companies need capital markets?